Today, I attended a blogger event to celebrate the publication of the latest volume of The Joseph Smith Papers by the Church Historian’s Press. Joseph Smith Papers: Documents, Volume 2: July 1831—January 1833 includes documents beginning in the summer of 1831 that designate Jackson County, Missouri, as the center of Zion. The approximately 90 documents in this book shed light on this early period of administrative growth and doctrinal development in the Church. Accompanying each document is a historical introduction, annotations, and background information. The documents in the book include revelations, correspondence, licenses, and minutes of meetings in which Joseph Smith participated. 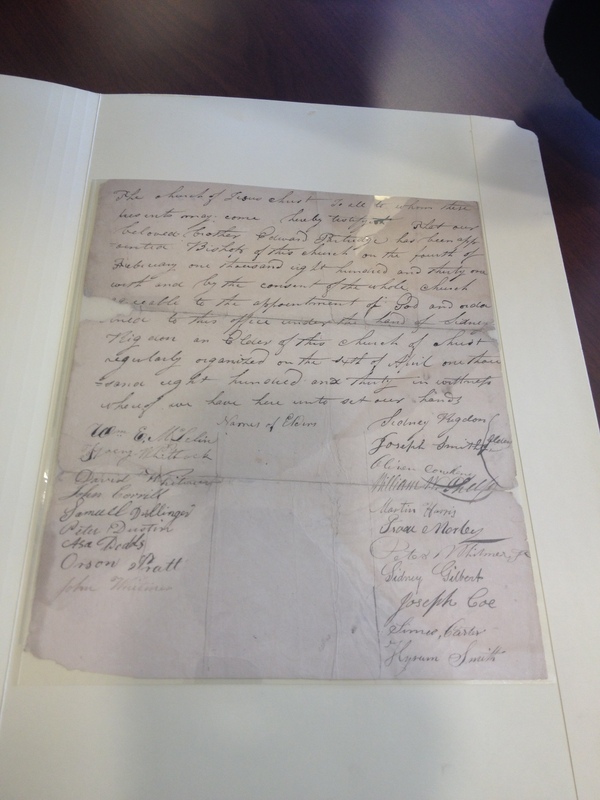 Some of the documents relate to the creation of the United Firm, the decision to print Joseph Smith’s revelations, and the first meeting of the School of the Prophets. Two of the documents show the human side of the Prophet Joseph Smith as a concerned husband and parent. These are two letters in Joseph’s own handwriting to Emma while he was away. He expresses homesickness in being away from Emma and the children. Documents aren’t always what they appear on the surface. When you dig into the historical context, you really begin to understand their significance. 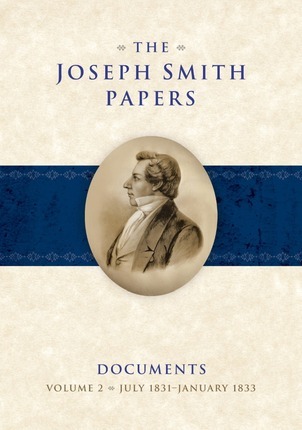 I think the biggest value of the Joseph Smith Papers series is that it helps us understand the historical significance of these documents and provides insights into the development of the Church. About 18 months after each book in the series is published, it will appear online at JosephSmithPapers.org. The website continues to grow with new releases each quarter. The next update will be in January. Eventually, the website will contain images and transcripts of all existing and available Joseph Smith papers. Learn more about the contents of Joseph Smith Papers: Documents, Volume 2: July 1831—January 1833, watch videos, and order a copy. Read articles about other books in the Joseph Smith Papers series. Below is a photo I took this morning of one of the documents included in this volume.